Getting a parking ticket or speeding ticket is never fun but there are two startups out there who are trying to make it less expensive and less inconvenient. Anyone who has seen the show Parking Wars knows that getting a parking ticket or traffic ticket (or worse, getting booted) is rarely “fun”. Whether the ticket is justified or if it was issued due to an error (missing signs, broken meters, etc.) the best alternative to paying used to be booking a court date and hoping the cop didn’t show up, or going out and finding an attorney. 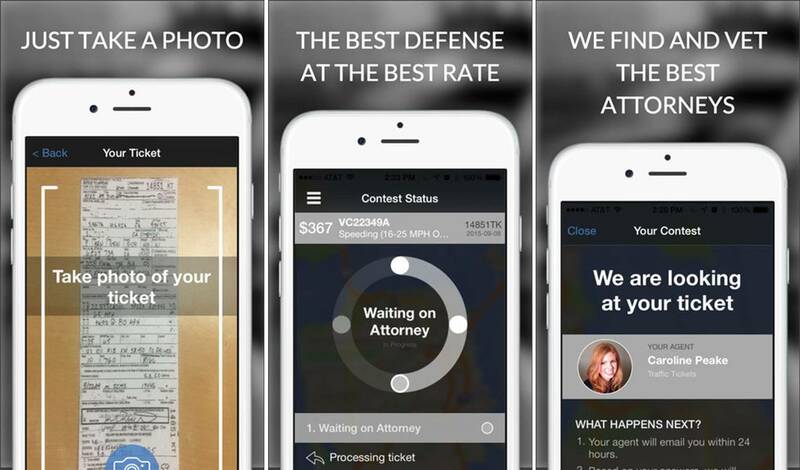 Today however, there are at least two startups trying to make it easier for drivers across the United States to fight those traffic violations without wasting any time or paying any extravagant legal fees. Fixed allows users to upload a photo of their ticket for processing. After answering couple of questions about their driving history, an agent reviews the case and evaluates the potential insurance increase. If the ticket is worth fighting, the service then arranges an attorney to represent you. The pricing and services offered by Fixed vary based on driving history and state. In California for example, in San Francisco, Oakland and Los Angeles, Fixed no longer contests parking tickets because of technical pushback they’ve received from the city. Fortunately, they still offer assistance for moving violations at an average cost of $150 per ticket. In New York State the average starting cost is $250 ($199 for New York City). Fixed boasts a 90% success rate, defined as getting points removed from a driver’s’ license (not a complete fine dismissal). While the app originally focused on California, the service is now available in 18 other states including New Jersey, Arizona, Ohio, Texas and Florida. To date Fixed has been featured on Shark Tank (Mark Cuban ended up investing in them on the show) and since being founded in 2013, the company has raised about $1.9M from 8 investors. Two of the more notable investors (aside from Cuban) include Y Combinator and QueensBridge Venture Partners; the latter lists the rapper Nas as one of its partners. If you’re somewhere in New York, you’re in a position to be #winning with these guys. WinIt is an Android and iOS app that provides a cost effective way for drivers in the five Burroughs of New York City to have their tickets dismissed. Like Fixed, in order to use WinIt you simply need to take a photo of the ticket, scan the barcode, use the 10-digit ticket ID, or submit your license plate information. WinIt then sends your ticket to their team of attorneys who evaluate the case and then contact the city to schedule an appeal. Throughout this process, users are updated on the case status via email. 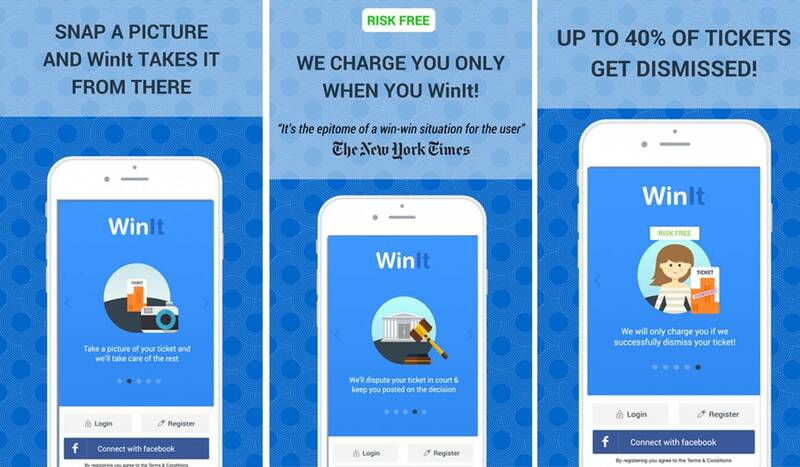 WinIt is free to download and if the ticket is dismissed, the company collects half of the original fine. If the ticket isn’t dismissed, then the user only needs to pay the ticket. If a guilty verdict is rendered, the user can pay their ticket through the service – there’s a $2.99 service charge and 3% processing fee. WinIt was founded in 2014 and has not publicly released any funding information to date. Interestingly, Fixed is going out of business. You also failed to include Seattle-based startup ‘Off The Record’. They only handle traffic tickets, and currently cover Washington, Arizona, and New York, but are growing to other states (California is next). Definitely worth including in this list. Very nice! I live in a large city and would LOVE for this process to be an easy one! I am a little shocked that Cuban would even look up from his lap to hear about this app. I guess it is sort of helpful if you really want to fight the process, but wouldn’t it be easier to just pay the fine? I could have used an app like this when I was in college, that is for sure. It was cheaper to buy a bike, with an expensive lock and hope that it does not get ripped off. These two companies make looking for an attorney a little easier. For the cost of the ticket, I guess the only benefit to the app would be getting some points back?